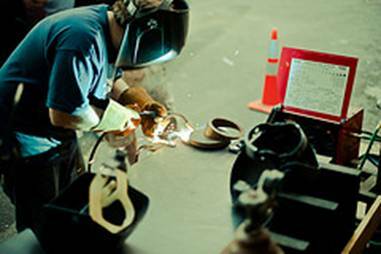 Welding could either be two things to someone – a job or a hobby. Either way could be rewarding since if it is a hobby, one gets to create something out of nothing. If it is a business or a job, it is doubly rewarding as one gets to create something out of nothing, and at the same time earn from it. But what is Welding? Welding basically is putting two metal parts together. It is used in building establishments, furnishings, decorations, and more. There are three main welding techniques namely: the Stick Welding, The Metal Inert Gas or MIG Welding, and then the Tungsten Inert Gas or TIG Welding. The easiest type to learn, even for beginners is the Stick Welding. It is very basic that one gets to learn easily how to manipulate the main tool needed to perform this. Basically, Stick Welding uses electric current to pass through the electrode and the metal to bind it to another metal. Even hobbyists can easily carry-out simple welding jobs with Stick Welding, and there is not much investment required, because the tool used for stick welding can easily be bought from a big hardware or any home improvement retail establishment. Usually, hobbyists make metal crafts using the Stick Welding technique, however, if the item should be sold elsewhere, a keen eye can see that the way the metals have been connected is not-so-smooth and professional-looking compared to another product of similar type but was made using another welding technique. The MIG Technique on the other hand requires a bigger investment in terms of the cost of the tool to be used, but most welders find it reasonable since the welding jobs made using this technique are more-durable, cleaner and more professional-looking. Basically, the MIG technique involves the torch melting a filler wire directly unto the metal joint. 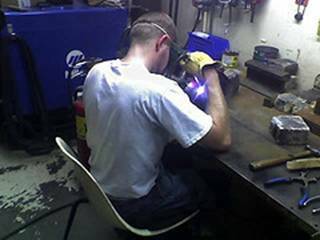 And although it is mostly employed by professional welders, the learning curve in using this type of technique is fairly easy compared to other techniques. The last common welding Technique is the TIG, which has the steepest learning curve, and usually used only by professionals or expert welders. Usual results when employed by professionals is a very clean, very durable and very professional-looking finished products. The technique is almost the same as the MIG only, it uses an added gas to ensure that the weld will be free from external contamination and would appear cleaner and smoother. Practice, Practice, Practice – When you start on a new hobby or business, the tendency is to get excited, but mistakes in welding are hard and expensive to recover so it will be better to practice on scrap metals first before trying on the real thing. Keep your work area clean – To ensure a clean, smooth, and more professional looking weld, make sure that your work-area is spotless so that nothing will get in the way of making durable joints. Even oil drippings could affect the durability and the look of the finished product. Ensure Your Safety – Make sure that you know how to properly use your tools as well as safety precautions involved in the whole process. It is better to take time reading instruction manuals and how-to’s than to find yourself hurt or injured. Do your homework – Before attempting to weld make sure that you know which technique will be best to employ for the kind of metal you will be working on. Also make sure that these are all feasible to create using the tools and materials you have at hand, and of course the skill, knowledge and experience that you possess. Be inspired – Observe how other professional welders and long-time hobbyists do their crafts Search the internet for tips and tricks, and do not feel ashamed to ask. The only way to learn is through asking. Do not also be afraid to experiment as long as you are on the safe side. 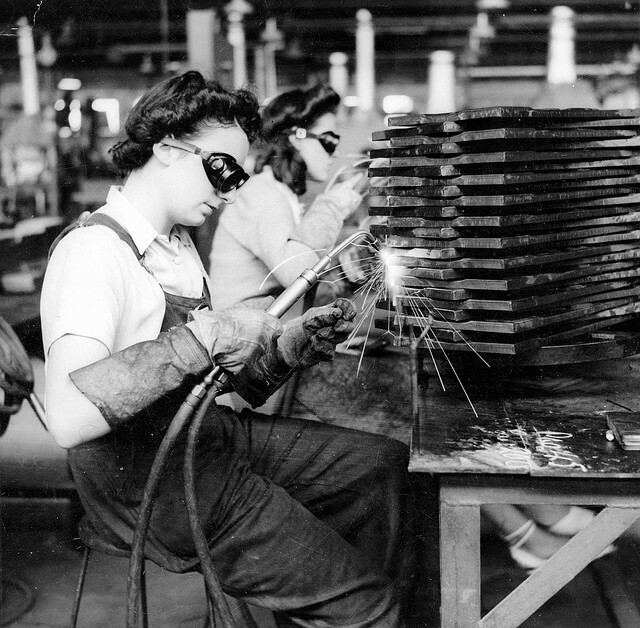 To make sure that your first welding project will end up to be a pleasant experience, make sure that the project that you will be doing is something that will make you happy – be it because of the income that it will generate, or because it will yield to something useful that you can keep in your home.